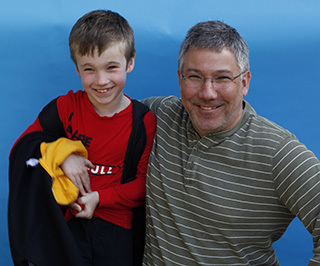 When your child attends Bertschi, you become part of an active community of families that participate in educating our kids, in and out of the classroom. We are so grateful for your involvement; we can’t do all we do without essential involvement from Bertschi family volunteers. "It means so much to our family to be able to give our daughter the opportunity to flourish in such a supportive environment." "The parents are so cordial and caring." "I appreciate how Bertschi School values every child and every family's identity, point of view and uniqueness." As supporters of an independent school education, our parent community gives time, talent, and financial resources to help ensure educational excellence. We depend on financial support from parents, alumni, grandparents, faculty, staff, and friends to sustain and build our outstanding academic program and upkeep our world-class facilities. Thank you to the nearly 100 percent of parents who contribute to our critical fundraising efforts, helping us obtain our mission-critical objectives during the school year. Bertschi Parents jump in and help us daily by volunteering their time and talent in the classroom, the playground, the lunchroom, and by helping us plan and pull off special events throughout the school year.